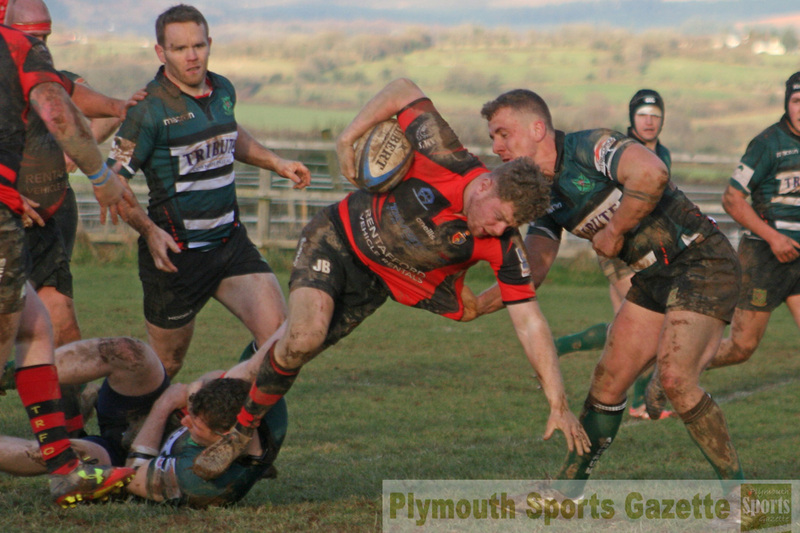 IVYBRIDGE are still looking for their first win of 2019 after going down 43-32 away at Devon rivals Exmouth on Saturday in the South West Premier League. It was the Bridgers’ third defeat in a row since the turn of the year, having only suffered three in the first four months of the season. Ivybridge just have not been able to find their form since the long Christmas break but they did move back into third place on Saturday, despite losing. The bonus point they picked up for scoring four tries did take them back above Maidenhead, who lost at Exeter University. The Cross-in-Hand side trailed 21-10 at half-time at the Imperial Ground before closing the game to 24-20 relatively early in the second half. But then the match got away from them in a short period of time with Exmouth going 43-20 ahead. Ivybridge, though, did finish strongly with two tries to make sure of a point. “It was disappointing,” said player-coach Jamie Tripcony. “As a team we still have not won in 2019, which is a tough pill to swallow. “But we are certainly not going to panic. We are going to do all we can during the week to make sure we are ready for Weston-super-Mare away. On the game itself, Tripcony added: “First half we were committing a lot of players to the tackle. Fair play to Exmouth, they were well structured as we knew they would be with Steve Perry coaching them. They made us commit a lot of numbers to the tackle area which therefore meant there was more space for them to attack. “Our work-on at half-time was to improve our defence and chop tackle to make it easier not to commit as much to the tackle area and I think we did that second half. “We put in a good shift second half, but unfortunately we let them slip away halfway through the second half. Our discipline was not great at times and we gave them easy yards and territory. They did have a few decent ball carriers who broke us at the right time, so fair play to Exmouth. “It was a high scoring game. We scored five tries and we had to work hard for them, especially the final one where we went through a lot of phase play. Tripcony hopes the team can take the momentum of the last 10 minute into next weekend’s match away at Weston-super-Mare. Damon Akerman scored two tries for Ivybridge with their others coming from Ben Watts, Billy Pinkus and Marcus Prout. DEVONPORT Services continued their impressive home form with a 40-19 win over Hornets, who had started the day just one place behind them in the South West One table. Sixth-placed Services have only lost once at the Rectory since coming into the league last season and that was a narrow 20-17 loss to Lydney. They ran in five tries on Saturday against the Hornets, who had beaten them in Somerset at the end of September. Next week Devonport could cap an encouraging first season at level six by booking a place in the Devon Senior Shield final if they can beat struggling Cullompton away. Services made a good start against Hornets with a try in the opening few minutes from number eight Matt Gregory, who got the ball down following a good catch-and-drive move. Hornets, who were two divisions higher than Devonport last season, did pull level before the hosts went back in front when Richard West scored under the posts after Services had stolen a Hornets line-out. The visitors then scored a try from their own line to again level the contest, but then Services got control, despite initially losing forward Sam Bennett for 10 minutes after he was yellow carded for contesting a decision. While he was off the field, Services bagged their third try of the afternoon when Joe Daley crossed from another line-out. West converted to make it 19-12. He then extended the gap to 10 points with a penalty on the stroke of half-time. The Devonport fly-half then kicked another penalty after the interval after Hornets gave away a number of penalties in the red zone, but somehow avoided a yellow card or penalty try. Gregory then added his second try of the afternoon after good play by West, who delayed a pass and then went around the corner to feed his on-rushing captain who powered over the whitewash under the posts. West added the conversion and then kicked a drop-goal to make it 35-12. The visitors were awarded a controversial penalty try after the referee deemed Matt Neyle-Opie had stopped a Hornets player with a dangerous tackle. But it did not make any difference to the outcome and Services finished the day with another try from a line-out, this time from Joe Semple. “We had a good day from our line-outs,” said Services team-mate Kieran Leach. “But everyone played well. We got five tries and it was another win at home, which is where we are strong. In Western Counties West, Saltash were left frustrated after losing 10-6 at home to Wadebridge, who have moved up to fifth. The Ashes enjoyed long spells of possession and had what appeared to be a good try disallowed, but in the end they had to make do with just a losing bonus point after kicking two second half penalties courtesy of Kieran Down after going 10-0 down. Wadebridge led 5-0 at the break after scoring against the run of play. They then added a second try straight at the start of the second half after the Ashes had a kick charged down. 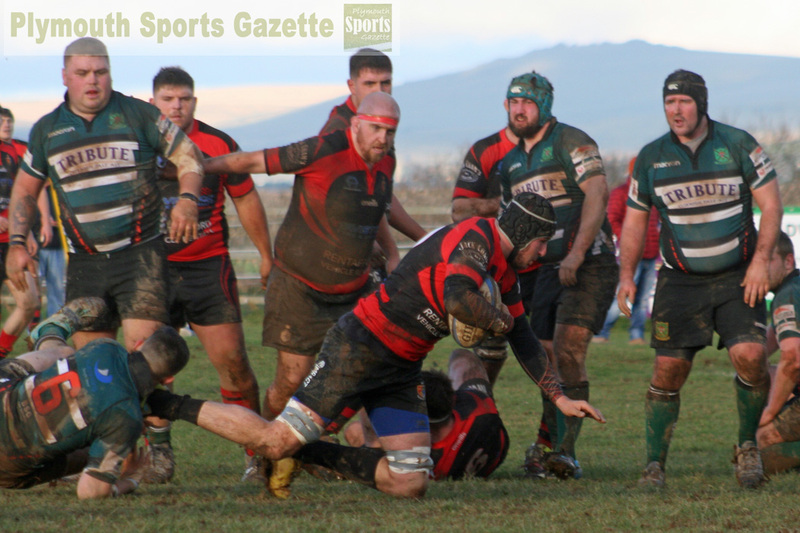 PLYMSTOCK Albion Oaks coach Aiden Taylor felt his side produced one of their best performances of the season as they beat sixth-placed South Molton 44-15 at Horsham Fields. The bonus point win keeps them on the coat-tails of Bude, Honiton and Penryn, with just three points separating the top four after 17 matches. 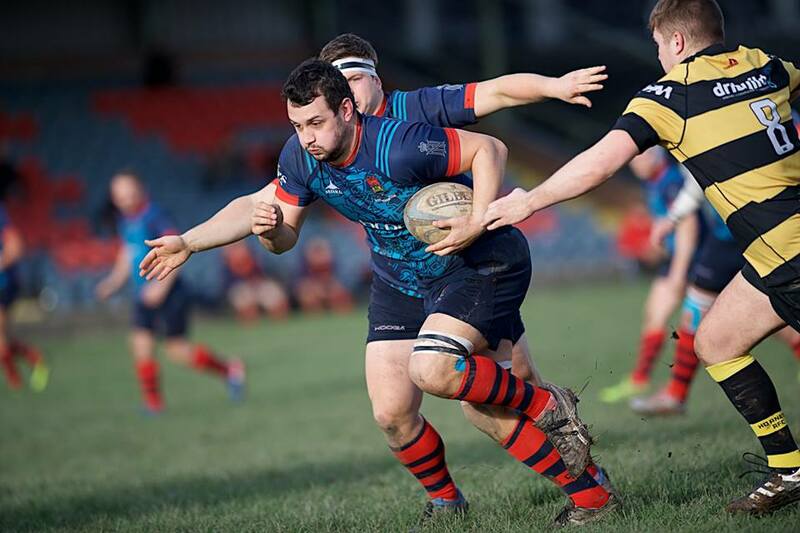 Oaks had been worried about facing South Molton, who had caused them lots of problems at Unicorn Park in a narrow 21-17 win earlier in the season. But the hosts, despite missing a number of regular first team players, took command of the game in the first half to go 25-5 up. Although South Molton closed to within 10 points earlier in the second half, Oaks finished strongly and ran in seven tries. Player-coach Aiden Taylor got two of those tries, while Kieran Jamieson, who was playing on the wing instead of the flank on Saturday, also bagged two. Oaks’ other tries came from prop Sean Wills, number eight Tim Cotts and full-back Tom Tabb, with the impressive Tom Richards kicking a penalty and Al Murray three conversions. “That’s the best we have played for a very long time,” said Taylor afterwards.” The boys that stepped up really put their hands up. “We played with such intensity that they couldn’t handle it. “We slipped off just before and after half-time, but then we got a foot-hold on the game again and pulled them out wide. 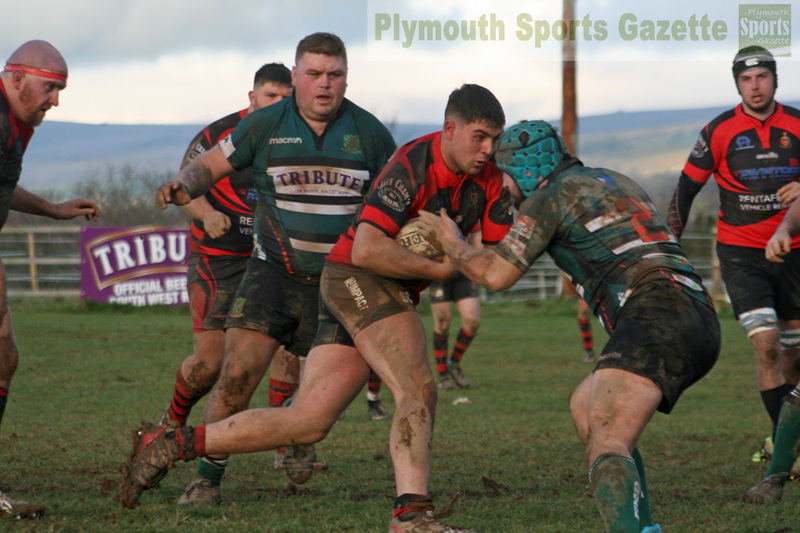 Tavistock are looking a lot safer in the Cornwall/Devon League after backing their win over the Pirates Amateurs last week with a 17-7 victory over neighbours Plymouth Argaum at Bickleigh Down. It was Tavistock’s first win at Bickleigh down in years and moves them six points clear of the drop zone in ninth spot. But it has increased the pressure on out-of-form Argaum, who now find themselves in the bottom three after only winning one of their last nine matches. Argaum had a lot of their key players back who have been missing in recent weeks but they did look like a team that had not played with each other for a while. The effort was there but not the understanding. It was only when they brought on Cheyenne Edwards at fly-half midway through the second half that they got a bit more structure to their attacks. Tavistock, in contrast, had more structure and cohesiveness in their play and their scrum and defence provided them with the platform to score the three tries they did. On the position Argaum find themselves in the league, Cameron added: “It is worrying, no-one wants to be where we are in the league. “This was a home game and a targeted one, but I looked at that game and I would not say either team is a bottom three side. Both teams gave absolutely everything, but on the day it did not come our way. He added: “We didn’t concentrate in the first five minutes of the second half and they scored, but pretty much the rest of that half we were pressing but we weren’t making gaps and cutting through them. Tavistock player-coach Hammy Kerswill was delighted with his side’s first win at Argaum for years. “It’s been a long time coming but we did believe we could get the win,” said Kerswill. “It was a 35-man performance as we have had good numbers at training the last few weeks and we set a goal to win these two games (against Argaum and Pirates) as it could be the be-all-and-end all of our season. He added: “We have changed the way we play in defence. We didn’t compete in the breakdown so much but we were like a wall. Tavistock’s final try was the best of the lot. They attacked from a scrum in their own half and the ball went through a number of hands down the left before Andrew Craddock scored. “That was a strike move that we practised for the first time in training on Thursday,” said Kerswill. “It was nice to see that come off. That shows that the young boys are listening and are willing to try these things. “We are more structured now and I think all the players believe now that no matter who we playing. Argaum missed an early penalty but then the next 30 minutes belonged to Tavistock. The visitors were held up over the line in the seventh minute and Tavistock then knocked on with the try line at the mercy two minutes later. But they did eventually deservedly take a 5-0 lead with a try by captain Andrew Schuttacker following a good scrum on 19 minutes. Argaum did have more of the play in the final 10 minutes of the half but never really looked like scoring. Early in the second half Ethan Lamerton added a second try for Tavistock when he ran in under the posts after more good play from a scrum. Australian scrum-half Hamish Dawson was influential for the visitors and he converted that try. Argaum then started to get into the game, but the visitors scored a great team try down the left through Craddock with 10 minutes to go. Tom Worboys reduced the deficit with a late try, which Chenneye Edwards converted, but that was all they were able to get from the game. 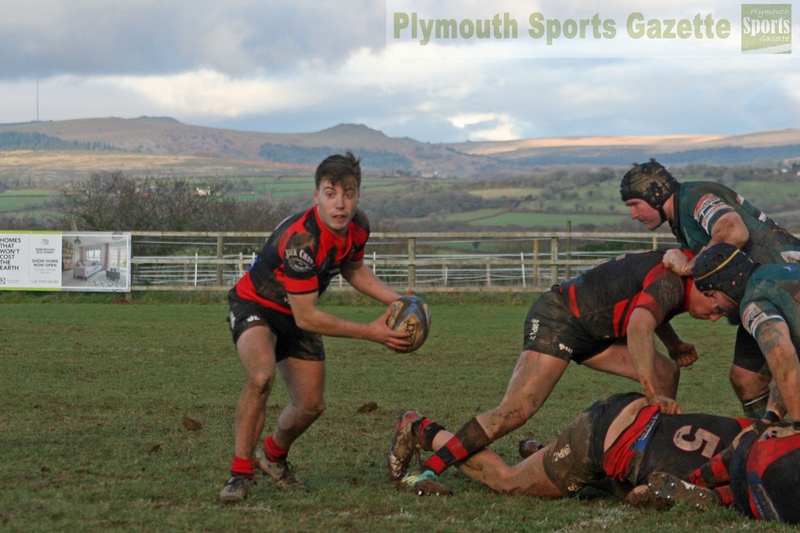 Liskeard-Looe beat Lanner 26-20 at Lux Park to stay in seventh spot. Lanner are one place and two points ahead of Argaum. TAMAR Saracens continued their good run of form with a hard-earned derby win over OPMs at the Parkway. Sarries have now picked up 17 points out of their last 20 with victories over OPMs, North Tawton, New Cross and a walkover against Dartmoth. On Saturday all their points came in the first half with prop Tom Hicklin scoring from a maul and then almost straight away man-of-the-match Fraser Tatchell used his pace to cross for a second. Both tries were converted by the impressive Tom Rigby. OPMs were a lot better in the second half and in the final 20 minutes really came to life but all they were able to add for their efforts was a Sammie Matts penalty. “It was a bit of an ugly win, if I’m honest,” said Saracens’ Marc Cioffi. “It was one of those games where we were playing really good rugby until we got into their 22 and then we seemed to get white-line fever and everything went to pot. “We had the 14 points before half-time, but they came back at us with a better attitude second half. If I’m honest the second half was quite boring and dull. There were some good breaks going forward by both teams, but the tackling from both sides was really good as well. OPMs have lost their last three matches and sit third-from-bottom of the table. “In the forwards it was fairly tight,” said OPMs captain Billy Garratt. “They always come at you with all guns blazing, especially with their forwards, but we did front up. “Their first try was scored from a maul from a line-out, which was a bit frustrating as usually we are quite good at defending them. “I think heads dropped a little bit when that score was given and from the next kick-off they ran through the middle of us and scored another try. Again that was very frustrating. You shouldn’t be allowing teams to go straight down the middle of you. Individual tackles weren’t there and that let us down. “In last 20 minutes of the game we really came alive and we rattled them a lot. We made some decent carries. I just wish we had clicked on in the first half as well as the last 20 of the second. If we had done that we would have been all right. In the Devon Merit Table, Plympton Victoria enjoyed an impressive 22-10 home win over Kingsbridge II at King George V Playing Fields. 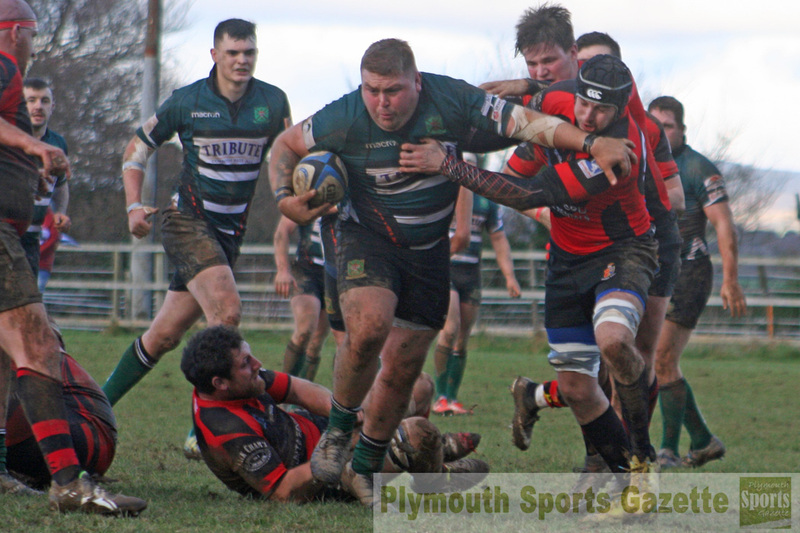 Plym Vic ran in four tries against the team that had put 89 points on them at the start of the season, with Zac Hoole scoring twice and Jamie English and Sam Stockdale also going over. Stockdale also added a conversion. “It was certainly a different side to the one we played when we went up there at the beginning of the season,” said Plym Vic’s Chris Hunt. “I think their seconds are getting drawn into the firsts, but to get any kind of a result is brilliant for us. “The lads played really well. We played some good rugby and communication was better. It was a good game all round.